Or maybe your situation is more like ours. Your toddler is no longer nursing but still likes a little something warm in her belly before bed. Usually she is allowed a small bottle of warm whole milk, but tonight she has developed a nasty cold. The snot dripping down to the chest kind of cold. She has a low fever but nothing you want to medicate, and she is having trouble finding her comfort. Tea? Tea for a baby? Tea for a baby who only drinks milk and water?! Well at this point I’m willing to try anything. So off the the grocery store we go to pick up a box of chamomile. I brewed up a small pitcher’s worth of weak tea, added some honey and a bit of lemon for her cold and taste, poured some in a bottle and put the rest in the fridge for quick refills over the next day or so. and hallelujah! 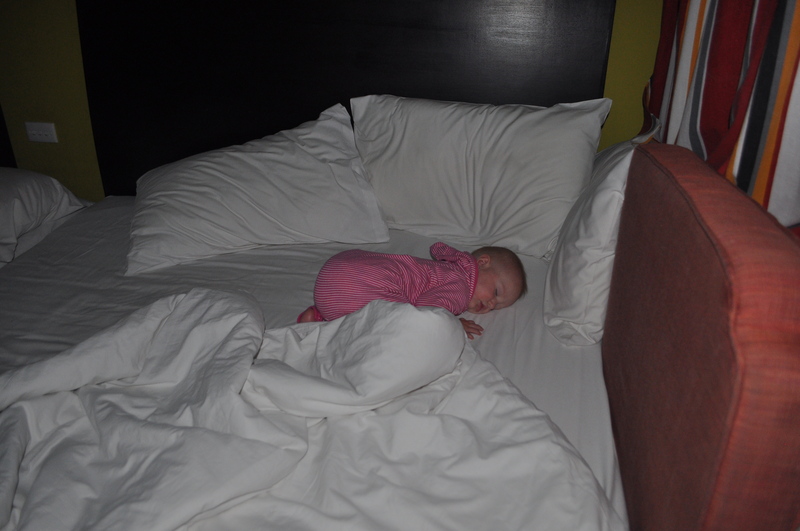 She drifted into a peaceful sleep! So we have continued this ritual for the past week as her flegm clears, and she loves it! Chamomile is a perfectly safe homeopathic remedy for restlessness in babies over 3 months of age. Lastly, please understand that this is not a miracle cure for a child with colic or teething, but in my humble opinion, it is worth a try! So glad your little bean is enjoying the chamomile and hoping you are getting a well deserved rest. The honey and lemon are like magic for fighting that cold, you were so clever for thinking of adding that. You made it sound so inviting and tranquil I think I would like a cup myself. Heartfelt thanks for visiting free Little Words. I trust you enjoyed the post you read and hope to see you again soon.